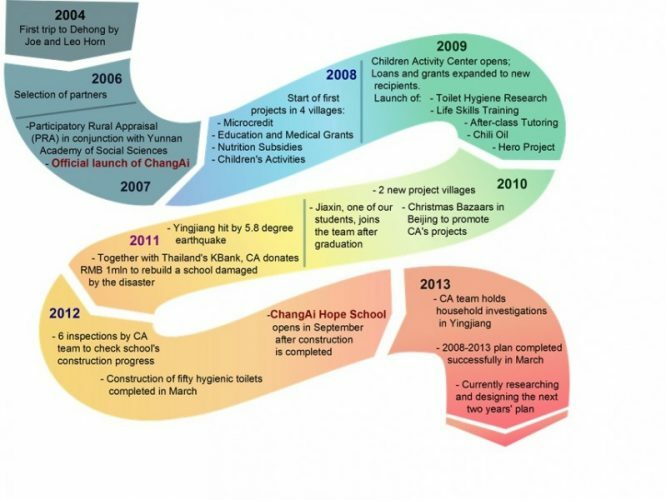 China Carbon Forum (CCF) is an NGO that aims to establish an independent platform for engaging stakeholders in the PRC carbon, renewable, cleantech, and clean development mechanism markets in China. The organisation also channels some of the views and findings to the Government in a constructive and non-political manner. Strategy613 is an executive board member of CCF. Back in 2004, Joe and Leo were invited by then vice governor Wang Chao for a visit to Dehong Prefecture. Poverty in rural areas disturbed them: children had little access to schools and nutritious food; drug use and AIDS were rife, leading to loss of labor and economic resources for many families. After careful discussions within the family, Governor Wang Chao and other friends, the family decided to establish a project to lend a helping hand to the children of this poor area.